which contracts are dealt with. 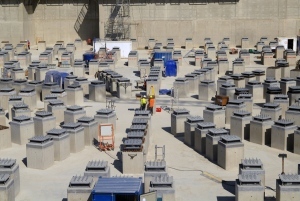 Contracting woes may cause further delays for €15 billion ITER effort. The world’s largest scientific project is threatened with further delays, as agencies struggle to complete the design and sign contracts worth hundred of millions of euros with industrial partners, Nature has learned. That’s the dream. But so far, ITER has been consuming mostly money and time. Since seven international partners signed up to the project in 2006, the price has roughly tripled to around €15 billion (US$19.4 billion), and the original date of completion has slipped by four years to late 2020. Many of the delays and cost increases have come from an extensive design review, which was completed in 2009. Read more: Fusion project struggles to put the pieces together : Nature News & Comment.